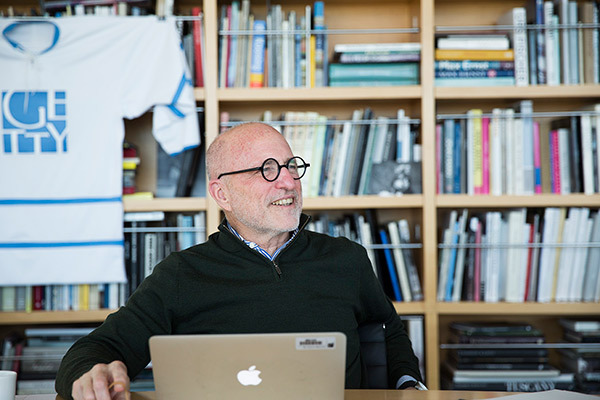 2015 was a lively year at the Getty, both on campus and with our projects around the world. The galleries were filled with new acquisitions and exhibitions ranging from a medieval saint to the graphics of World War I. The Getty Villa theater program turned ten, bringing East L.A. to Malibu via ancient Greece. Both the Getty Conservation Institute and the Getty Scholars Program marked their 30th year, and the Getty Foundation awarded new grants for Keeping It Modern, an international initiative that is protecting modern architecture from São Paulo to Scotland. And that’s just for starters. I asked Jim Cuno, the Getty’s president and CEO, to share some of his most memorable moments of 2015 and how he plans to greet 2016. 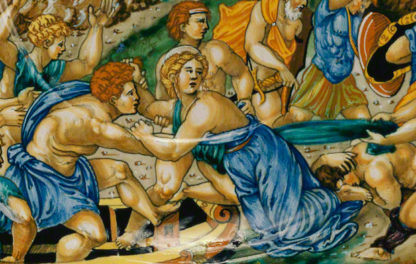 Tell us about 2015 at the Getty. 2015 has been a year of extraordinary achievement in research, grants, conservation, exhibitions, and much more. It’s also been a banner year for visitors—we welcomed over two million visitors from around the world to the Getty Center and Villa this year. 2015 has seen the most visitors since we opened, and it’s been a year of greater diversity, too, with increasing numbers of visitors coming from China, for example. What was your most exciting moment this year? 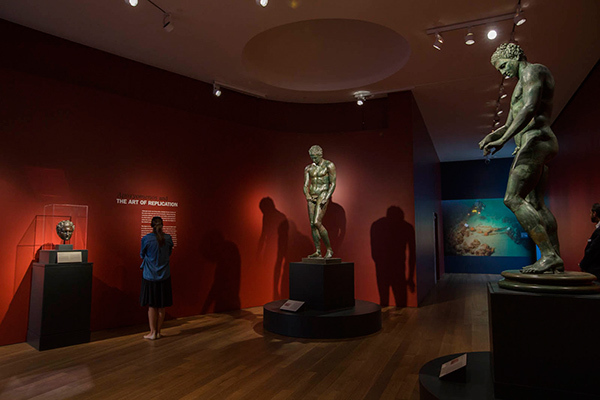 Without question the opening of the Hellenistic bronzes exhibition Power and Pathos, where we saw some of the greatest achievements of humankind—works of art of great power and beauty that have survived tumult for thousands of years. It was a remarkable opportunity to be in their company for the three months they were here. The Getty acquired some remarkable works of art this year. Was there one that really knocked your socks off? 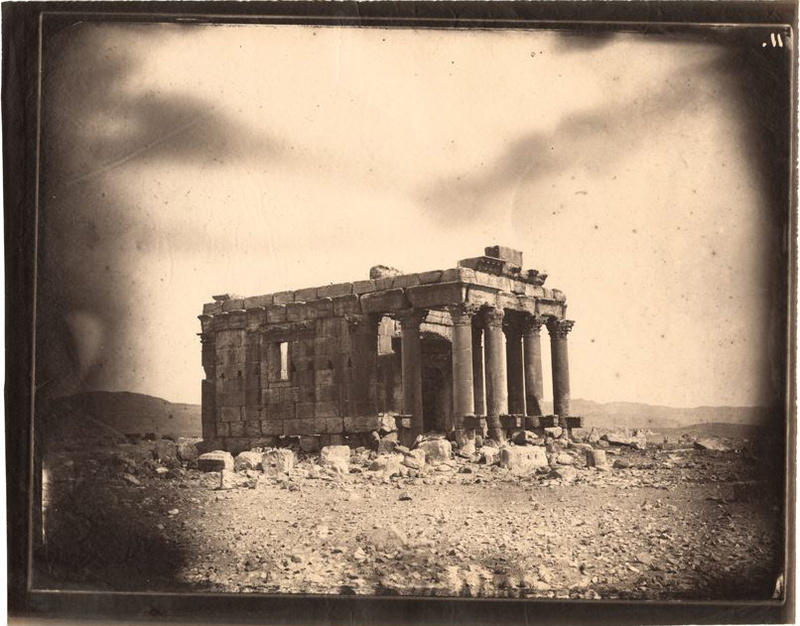 In addition to the extraordinary Bernini marble bust of Pope Paul V, acquired by the Museum, I was deeply impressed by the Research Institute’s acquisition of 47 photographs from the mid-nineteenth century of ancient ruins in the Middle East, particularly Palmyra. Given all that we know of the destruction in Palmyra at the hands of ISIS in the past six months, it’s moving to see the grandeur that these architectural remains once had. These are haunting images, but they also confirm the great responsibility we have to secure the preservation of antiquities for future students and scholars to explore. 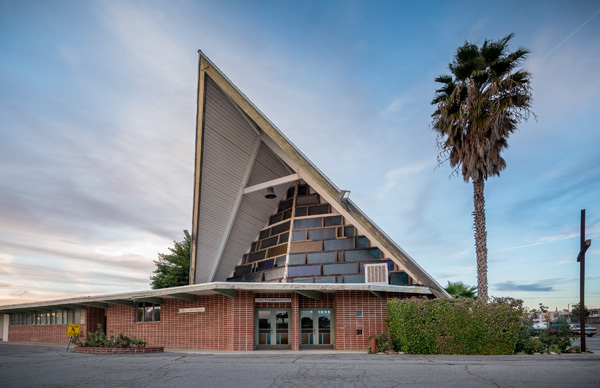 Speaking of preservation, another highlight of 2015 was the launch of HistoricPlacesLA. Tell us about that. HistoricPlacesLA grew out of Arches, a web- and geospatially based information platform developed by the Getty Conservation Institute in collaboration with World Monuments Fund. This open-source system was built to inventory and help protect built cultural heritage, and all kinds of information can be put into it to create a rich repository of knowledge about a location. It is being used in connection with cultural heritage in Syria, for example. Because Arches is open-source software, any organization responsible for heritage can freely adapt the system to their specific needs. That kind of openness and generosity is very meaningful to me. The 2015 launch of HistoricPlacesLA was the culmination of our work with the City of Los Angeles to adapt Arches to manage information from another Getty project with the city, SurveyLA, a citywide survey of historic resources. The system will help track and preserve structures and neighborhoods of historic and social interest. HistoricPlacesLA is proof to the world that there’s history here in Los Angeles. People think of L.A. as perpetually new, but it has more than two centuries of modern history—and now that history is being documented and the public can have access to that large body of information. The Getty Scholars Program turned 30 this year. Looking ahead, how do you hope the program keeps growing and evolving? The Getty Scholars Program has made a significant contribution to scholarship. It’s provided over a thousand people with the opportunity to come to the Getty to ponder some of the greater questions of our discipline. What’s happened most recently, and what will continue to happen, is that we’ve broadened the reach of the Getty Scholars Program to a greater part of the world. It’s a more diverse set of scholars looking at a greater diversity of scholarly questions, and looking at questions that go beyond borders. You travel a lot and meet many interesting people. Tell us about one of the most memorable folks you met this year. I had a chance to spend some time with the great American artist Jasper Johns. I’ve worked with Jasper on exhibitions in the past, but I’ve not had a chance to spend a quiet four hours with him for a very long time. I had a chance to be with him at his house in Sharon, Connecticut, for one late fall afternoon. It was a very beautiful setting outside, and inside we were surrounded by his paintings and the works of those with whom he has lived and collaborated. It was just a chance to spend time with a good friend over a quiet afternoon. Let’s look ahead to 2016. What should Getty visitors put on their calendars right now? 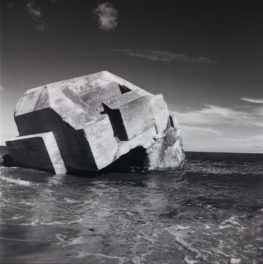 In March the Getty Museum and LACMA will present an exhibition on the work of photographer Robert Mapplethorpe. It will feature over 400 works across the two museums, some of which are being shown for the very first time. The exhibition is drawn from the Getty and LACMA’s joint acquisition of Mapplethorpe’s art and archives, which made Los Angeles the center for the study of this influential artist. 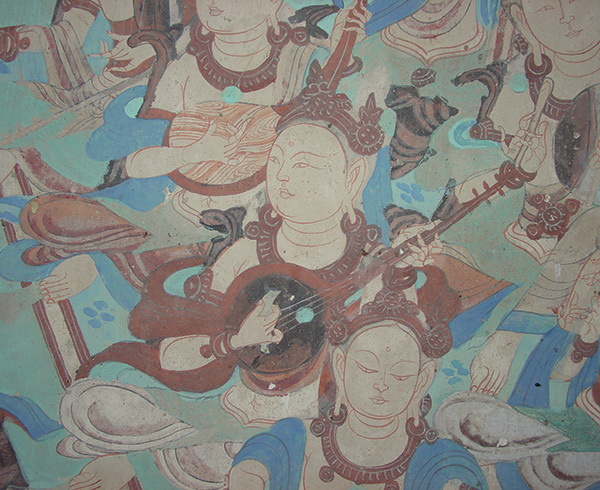 In May 2016 we’ll open an exhibition on the Cave Temples of Dunhuang, an extraordinary Buddhist site in northwestern China along the Silk Road that consists of hundreds of cave temples carved into a cliff face and decorated with paintings and sculpture. The exhibition will give visitors a wonderful opportunity to immerse themselves in the art, history, and conservation of this UNESCO World Heritage Site, a place of religious, cultural, and commercial exchange. The exhibition also celebrates the more than quarter century partnership between the Getty Conservation Institute and the Dunhuang Academy to preserve this site. What’s on the digital horizon for 2016? One of our exciting projects is the Bosch Research and Conservation Project, supported by the Getty Foundation. This groundbreaking web application will launch in full in February, at the same time as a major exhibition of Hieronymus Bosch in the artist’s hometown in the Netherlands. I think Bosch fans and scholars will be amazed—the site gives access to nearly 40 works by this painter, who is celebrated around the world for his unique artistic vision. Jim, you’re an avid reader. What are you reading right now? I tend to read to a purpose. If I’m writing something, I intend to read for that writing project—but I get distracted by other things! Two things are attracting my attention right now. One is the short stories of John Cheever; I recently heard one read on the New Yorker Fiction Podcast and was reminded of Cheever’s greatness as a writer. Equally I’m interested in Elizabeth Taylor, a mid-twentieth-century British fiction writer who has written many, many different books and short stories. One in particular, “The Letter Writers,” has to do with an epistolary relationship between a woman in England and a man in Italy and how they communicate over time — and how they come together and have to face the reality of themselves when all they knew before of one another was their literary evidence. What’s your idea of a perfect New Year’s Day? It would be cold, with a bright blue sky, and I’d be in the company of my family. For the first time in my 72 years, I will be visiting The Getty on Dec. 24. My husband, children and grandchildren will be with me, and we look forward to an inspirational day before our family evening at church and out to dinner. Well said by Mr. C., even inspirational, for the staff and volunteers and – as above – the visitors who without doubt arrive inspired to see, admire, learn … and leave with a sense of fulfillment.